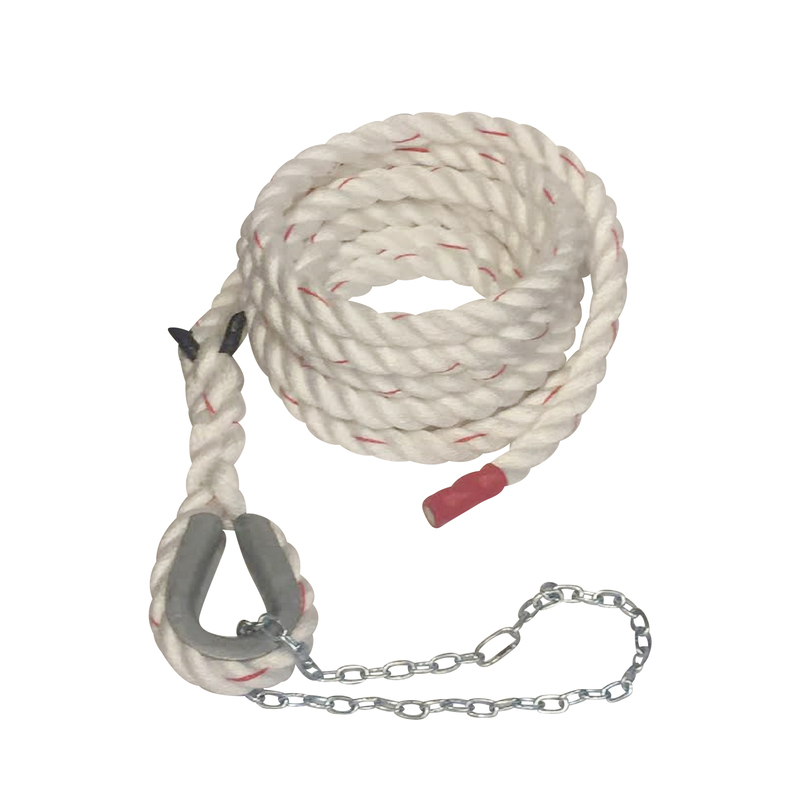 Rope Fit's climbing rope features a metal thimble eye and comes with a smaller chain and a safety latch in order to affix it to your anchor point. With this feature your rope will never chafe against it's anchor point, because the metal thimble eye takes all the load. 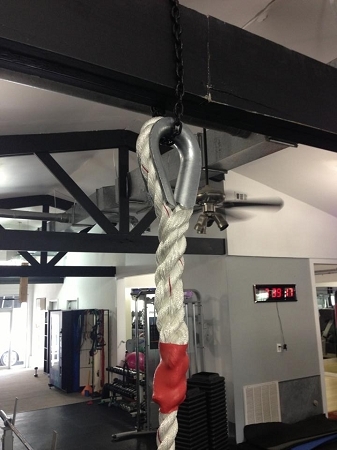 This will dramatically increase the life expectancy of your rope. Rope Climbing is one of the most efficient tools to enhance total body fitness and build incredible upper body strength. Rope climbs help climbers of all levels take their fitness to new levels. This super high strength poly dacron knotted climbing rope is shed and fray resistant, making it a great option for indoor use at the gym, fitness center, weight room or in the home. This rope can also be used a swing rope for children or for some summer time fun by attaching it to a tree and swinging into the lake. WARNING!!! Rope climbing is inherently dangerous. 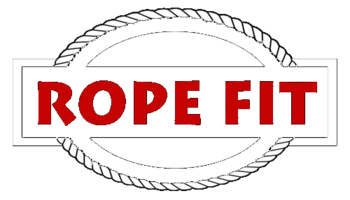 Rope Fit LLC does not recommend climbing ropes without using several landing pads at the base of all climbing ropes. By purchasing this product with this warning being posted Rope Fit LLC absolves itself from any claims made while using Rope Fit LLC ropes. Although the ropes we use have a breaking strength that well exceeds 15,000 lbs, excessive exposure to the elements or excessive chaffing can cause the material to break down, so these ropes should be regularly inspected for wear just as you would with your car tires..